Here is your chance to buy a ranch home in the prestigious Blackstone Country Club! 3 beds, 2 bath, hardwood floors, kitchen cabinets with crown xD; xA;molding, stainless steel appliances, granite countertops, custom sashless plantation shutters. Great Room concept with direct access to a xD; xA;comfortable Family Room with gas fireplace and floor-to-ceiling corner aspen trees as plus a well proportioned Dining Room. Spacious master retreat with luxuriuous 5-piece bath and a 6' by 13' walk-in closet. Private backyard with AWESOME mountain views from the extended patio. Professionally landscaped. Full unfinished basement for future expansion. 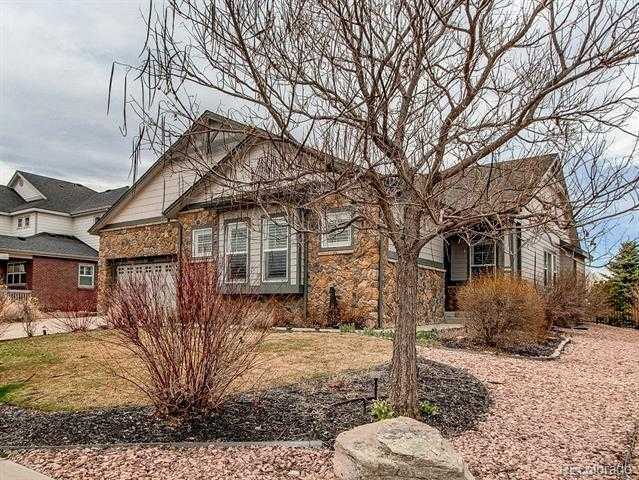 Close to E-470 and Southlands Mall and 1 1/2 miles to a major shopping center. Cherry Creek Schools. Please, send me more information on this property: MLS# 3311067 – $520,000 – 8059 South Country Club Parkway, Aurora, CO 80016.